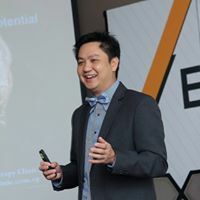 Dr. Simon Neo has established a private practice with a desire to BRIDGE TRUST and BUILD HOPE into the lives of those that are challenged in their current life station. Simon is a professional with 18 years of expertise in counselling, social and human services, education services and training as well as community outreach. Having both a passion and a calling in the helping profession, Simon started his practice with a desire to bridge trust and build hope into the lives of those that are challenged in their current station in life. As a personal therapist, Simon embraces all clients with empathy and compassion. His ability to develop strong therapeutic alliance and trust with his clients has helped them overcome a range of psychological and emotional issues. Simon loves life and is genuine in his approach towards people. He is conscientious, diligent, energetic and a respectful guy. He often demonstrates unconditional positive regards for others and carries with him a sense of humour that makes him a joy to work with. He also possess strong leadership skills through his excellent communication and listening skills as well as remarkable problem solving ability. Currently, he has a private practice located at Novena Medical Centre, Singapore and another in Bangkok. He is also the Vice-President of the Psychotherapy Association of Singapore. In addition to being an adjunct lecturer in public educational institutions such as Ngee Ann and Singapore Polytechnic, he also lectures in local and overseas private institutions. Simon has also been invited to conduct leadership training at the prestigious Chulalongkorn University in Bangkok which also included training faculty members in a Critical Thinking course.